Common aster. By Flickr user Joe Godin. 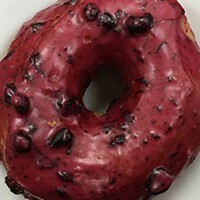 Creative Commons Attribution License. It was a perfect day to be in the garden. There had been just enough rain to make the ground damp and easy to dig, but not enough to turn it to mud. More rain was on its way, but not right away. Time to start transplanting. I've been working on this gradual transformation of my front yard for a couple of years. It's slow going, because I only move plants around a few times in the fall, then wait to see the results in the spring before I do more. The idea was to take some of the flowering perennials, which only bloom for a few months in the summer and then sit around as dull little green blobs for the rest of the year, and move those to the backyard where the chickens can look at them. In the front, I wanted more plants that would look interesting all year long, like silvery ornamental grasses that are actually quite beautiful in the wind and the rain. I also wanted more flowers that attract bees and butterflies. This fall, the asters came up in record numbers, and you could practically hear the garden humming from the activity of the bees. The trick is to make this garden look like something other than an overgrown meadow. Not that there's anything wrong with a meadow, but in a front yard you need a little of that "I meant to do this" vibe. One way to do that is to mass similar plants together rather than dropping them at random around the garden, so when this break in the rain arrived I spent the day digging up the scattered-about gaura, sedum and salvia, and grouping them together. While I was sprawled in the dirt, yanking out weeds and making room for my newly-created masses of color and foliage, a woman who lives down the street walked by with her shopping cart. It was garbage day; she was out collecting the recyclables ahead of the truck as she did every week. She stopped in front of my garden to talk. "Your flowers aren't like everybody else's flowers," she said. First, ignore everything I just said about planting in groups or drifts. A big clump of asters will look like nothing at all when the plant is dormant. Asters are actually ideal for tucking in between other, showier plants. You'll hardly see them in the spring and summer, and suddenly, in fall, they'll burst into bloom as if they came out of nowhere. Look around your garden right now and see where the bare spots are. Is there a perennial or a small shrub that you usually shear back in fall? Put some asters around it. Second, buy asters in four-inch pots and divide them before you plant them. Most asters are surprisingly easy to divide — just shake out the root ball and tease the roots apart gently. You can usually get two or three plants out of one pot, and if you plant them now, they'll have a whole year to recover and fill in before they bloom. Third, choose a sunny location with decent soil. 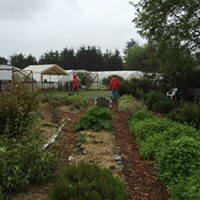 They can tolerate our dry summers and they don't need as much rich compost as your tomatoes do, but work in a little planting mix and choose a spot where they will get good light. Finally, pick some interesting varieties. 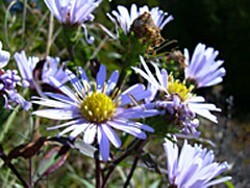 The native Aster chiloensis, with its light blue flowers, is a must-have in Humboldt county. 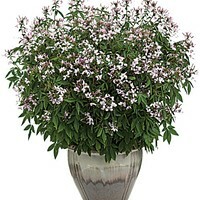 Aster lateriflorus ‚'Lady in Black' is worthwhile for its purplish-black foliage alone, but then it produces huge sprays of tiny pink and white flowers in fall. One of the most ornamental asters is the New England aster, A. novae-angliae, which can actually reach over three feet tall and produces large, brilliant maroon or purple blossoms on sturdy stems. 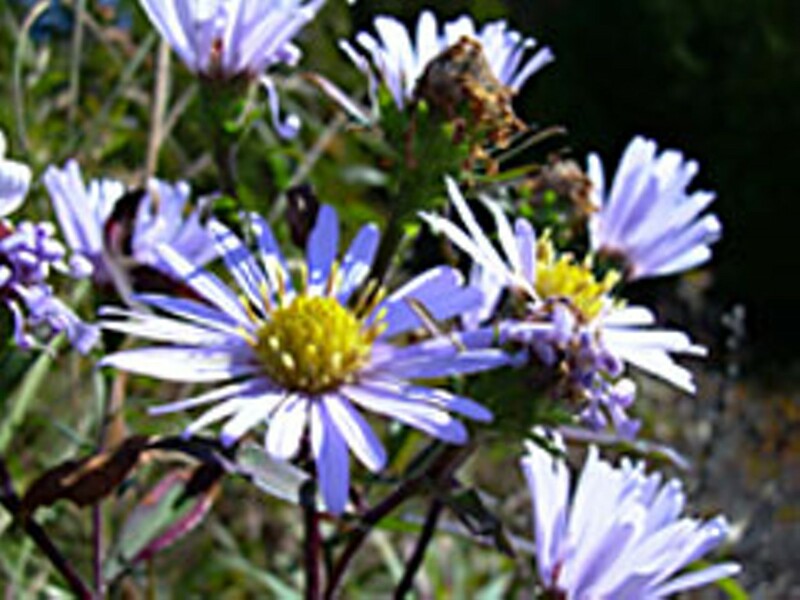 This aster puts up with wet soils, so you don't have to worry about it rotting during a rainy winter. And if you've already got asters blooming in your garden, leave the seed heads on the plant if you can stand it. Seed heads should be part of a winter garden; they can provide a food source for birds, and they're beautiful in their own seedy way. Cut the stalks off as new growth starts to appear in the spring — that's really the only care they need. This time next year, your asters will be butterfly magnets. Plant, wait, enjoy. It's almost too easy.